Our team is experienced, passionate, and always looking for like-minded individuals to work with. If you are looking for an entrepreneurial environment, and you are fanatical about customer service, we would love to talk with you. We welcome you to send your resume with a cover letter to one of our addresses below. Smart devices can both helpful and dangerous. 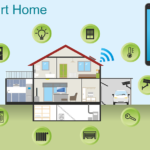 Learn how to keep yourself safe while making your home technology friendly.